On this page you'll find a selection of items belonging to the group of fast foods. Through the links on this list of foods that are fast foods and you will know their properties and amount of nutrients that each food has. Below is a list of foods belonging to the category of fast foods. Clicking on each one of them, you can view the properties of oils and nutritional information in addition to the benefits to your body. 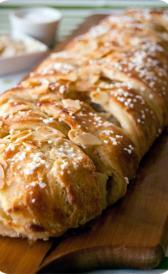 Cinnamon danish pastry: High in carbohydrate and monounsaturated fatty acids and low in total dietary fiber, total sugars and vitamin c.
Fruit danish pastry: Fruit danish pastry is high monounsaturated fatty acids. On the other hand. is low in total dietary fiber, total sugars and vitamin c.
Scrambled egg: This food is low in carbohydrate, total dietary fiber and total sugars but Scrambled egg has riboflavin and choline, total in high quantity. French toast with butter: This food has a low quantiti of total dietary fiber, total sugars and copper but has a high quantity of thiamin. French toast sticks: High in folate, total, food folate and folate and low in vitamin c, vitamin b12 and vitamin a.
Hashed brown potatoes: This food is low in total sugars, calcium and manganese but Hashed brown potatoes has total lipid and monounsaturated fatty acids in high quantity. Brownie: This food has a low quantiti of total dietary fiber, total sugars and copper but has a high quantity of carbohydrate. Animal crackers cookies: Animal crackers cookies is high food energy, carbohydrate and folate, total. On the other hand. is low in water, total dietary fiber and total sugars. Chocolate chip cookies: This food is low in water, total dietary fiber and total sugars but Chocolate chip cookies has food energy, total lipid and carbohydrate in high quantity. 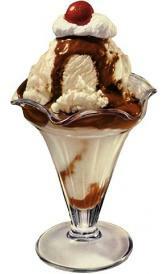 Caramel sundae: Caramel sundae is low in total dietary fiber, total sugars and iron. Hot fudge sundae: In this food there are some nutrients that are found in low quantity, for example total dietary fiber, total sugars and iron. Strawberry sundae: In food has a low quantity of total dietary fiber, total sugars and iron. Chili con carne: This food is low in total dietary fiber, total sugars and manganese but Chili con carne has pantothenic acid in high quantity. Breaded and fried clams: This food has a low quantiti of total dietary fiber, total sugars and calcium but has a high quantity of total lipid, sodium and monounsaturated fatty acids. Crab cake entrees: This food is low in total dietary fiber, total sugars and vitamin c but Crab cake entrees has calcium, phosphorus and sodium in high quantity. Breaded and fried shrimp: This food has a low quantiti of total dietary fiber, total sugars and vitamin c but has a high quantity of sodium and monounsaturated fatty acids. Frijoles with cheese: Frijoles with cheese is low in total dietary fiber, total sugars and selenium. Taco salad: Taco salad is low in total dietary fiber, total sugars and selenium. Tostada with guacamole: In food has a low quantity of total dietary fiber, total sugars and iron. Egg and cheese sandwich: High in folate and low in total dietary fiber, total sugars and manganese. 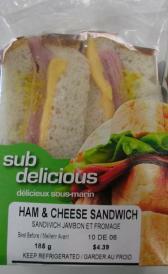 Ham and cheese sandwich: Ham and cheese sandwich is low in total dietary fiber, total sugars and manganese. Plain hotdog: This food is low in total dietary fiber, total sugars and manganese but Plain hotdog has selenium in high quantity. Plain roast beef sandwich: In food has a low quantity of total dietary fiber, total sugars and manganese. Coleslaw: This food has a low quantiti of protein, iron and magnesium but has a high quantity of polyunsaturated fatty acids. Hush puppies: Hush puppies is high phosphorus and sodium. On the other hand. is low in vitamin c, pantothenic acid and vitamin b12. Mashed potato: In food has a low quantity of protein, total sugars and calcium. Potato salad side dishes: Potato salad side dishes is low in protein, total dietary fiber and total sugars. Burger King Vanilla Shake: In this food there are some nutrients that are found in low quantity, for example total dietary fiber, iron and manganese. McDonald's hamburger: In this food there are some nutrients that are found in low quantity, for example selenium, vitamin c and pantothenic acid. McDonald's Filet-O-Fish: High in polyunsaturated fatty acids and low in total dietary fiber, selenium and vitamin c.